Sorry for the difficulties this week, folks! The above link should be working as usual. Enjoy! The Geek Seal of Approval has a name… And it’s Arlo?! 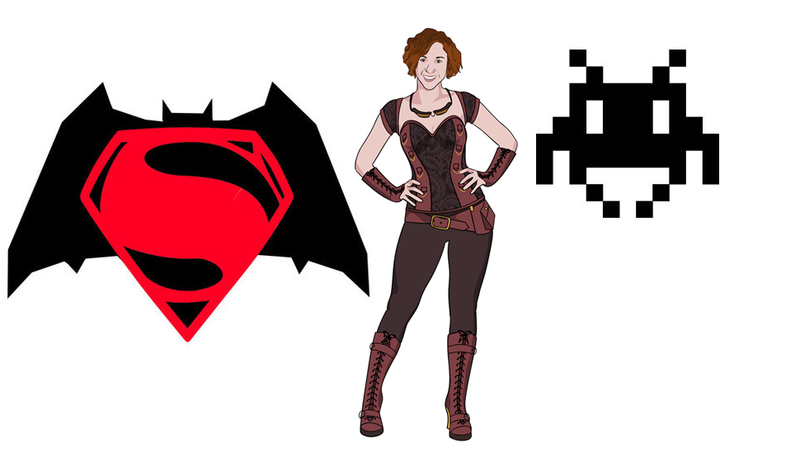 This week we talk to the 5th member of Geek Cast Live, Geek Gurl Les. In said discussion we talk about her pirate boyfriend, Skrillex, and Cards Against Humanity. In the main discussion we talk about surfing the depths of the internet in order to explain our superhuman knowledge of things. At the end of the episode, Joe fights a creepy crawly. It should make for a treat. In our “fantasy-ful” fight club, Batman vs. Superman, we have a flock of duck sized horses pitted against a duck sized horse! Geek Cast Live puts a vote to an age old Donut Show debate. We talk predictions sure to go wrong this year, and we decide to adopt a seal. Finally, check out the Geekery for all of our weekly, geek-y fascinations. Alien: Isolation will more likely than not be terrible. Titanfall will kill Call of Duty… Are you not entertained? X-Men: Days of Future Past will be the best X-Men film to date. I, Frankenstein is probably the worst concept for a film ever created. The Walking Dead will suddenly become more gruesome than you could ever imagine… Game of Thrones too. Rob Bass will end up at more music festivals, smoke more hookah, and play a Voltron-esque-chess-card-game, again better known as Magic: the Gathering. Peter Parker was dreaming the whole time. The Playstation 4 will all become sentient and begin the mass termination of the human race. Yankees will take the Super Bowl by storm… Them or the Seahawks. Settlers of Catan will replace Baseball as America’s pastime. JK Rowling will write more Harry Potter. This is a necessity. Christopher Tolkien will continue to expand Middle Earth. Ron Howard will bring the Dark Tower to television. Make it so. The Walking Dead will continue to be television gold. Rob Bass will begin collecting used bubble gum, categorized by the shape of presidents heads, of course. Kanye West will make an album that is audibly palatable. After throwing darts at a board, Joe thinks the Patriots will have the Super Bowl. Joe will create possibly the best vodka tomato basil soup on the market. The Xbox One will be shrouded in a scandal worse than its rollout… Scandalous. JK Rowling will confirm a prequel and continuation to the best written series of all time… It involves magic wands and socks. Jonah Hill will win an Oscar on his second try. He’s that good. DC will invoke rioting due to Ben Affleck’s Batman. Rick Grimes will die by seasons end and Agents of S.H.I.E.L.D. will be killed off as quickly as Firefly. Sound financial advice: Beanie babies will continue to be worthless. Cubs take the division and the San Francisco 49ers will take the Super Bowl. Scientist will create a disc capable of holding entire television series on one disc… Make it so. Projected growth in bourbon consumption will be at least 12%. G.R.R. Martin, dead by November… Leaving us all to withering and suffer. This week we talk about a superhero fight club in our Batman vs. Superman segment! Geek Gurl Jo makes an appearance and we learn what makes her geek. Finally, we talk games and gaming of all sorts in our main discussion. In our Twitter driven segment #GeekWeekly we discuss some of our favorite tweets of 2013. For our main discussion we give a geek profile on the host of Movie Podcast Weekly, Horror Movie Podcast, and the Donut Show, Jason Pyles. Finally, we wrap this whole first show up with #TheGeekery, the three of us talking about what has our geek flag flying this week.